Though they have laid more concrete since this was taken yesterday AM, here is a pic of the sidewalk, bus stop, and bike path construction on Roosevelt. 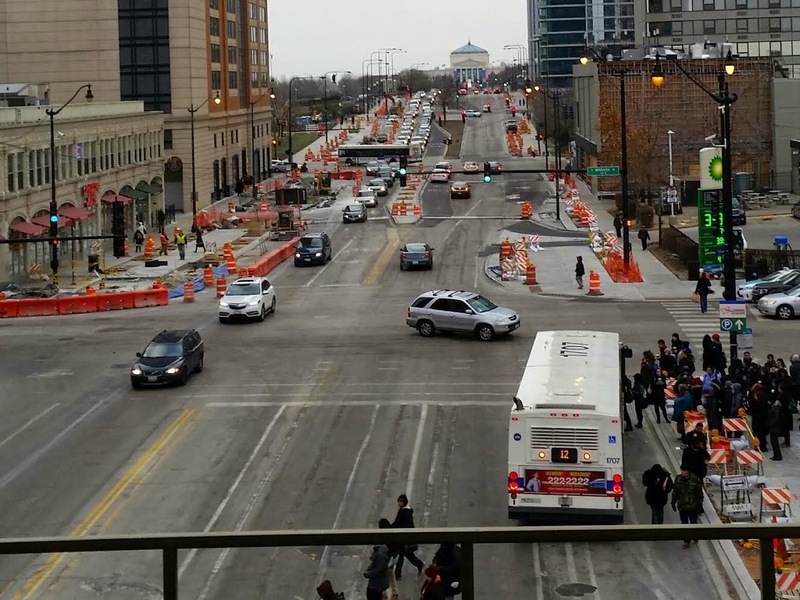 Don't know about you, but we continue to scratch our heads about this new Roosevelt Road street renovation. Going east on Roosevelt through Wabash and Michigan intersections will be down to two lanes. Seems like a bad bad bad bad bottle neck in the making. While we like the idea of a dedicated bike lane, each passing day is making us second guess this "improvement". We're not city planners, so will try to stay optimistic. Someone probably got paid well for these designs right? They're professionals, right?